Asda Gosforth and Drinkaware, the UK’s leading alcohol education charity, worked together on Friday 12th January to provide free information and advice on alcohol to the local community. The event, which took place at the store, gave customers the opportunity to access friendly advice and ask questions. Catherine McKinnell, MP for Newcastle North, also attended the event in a show of support for the charity. The 2018 partnership builds on a successful January 2017 pilot which saw Drinkaware engage with more than 2,000 Asda customers. This year saw a particular focus on women, based on Food Standards Agency research which showed that 68% of women said they are responsible for most or all of the household shopping. 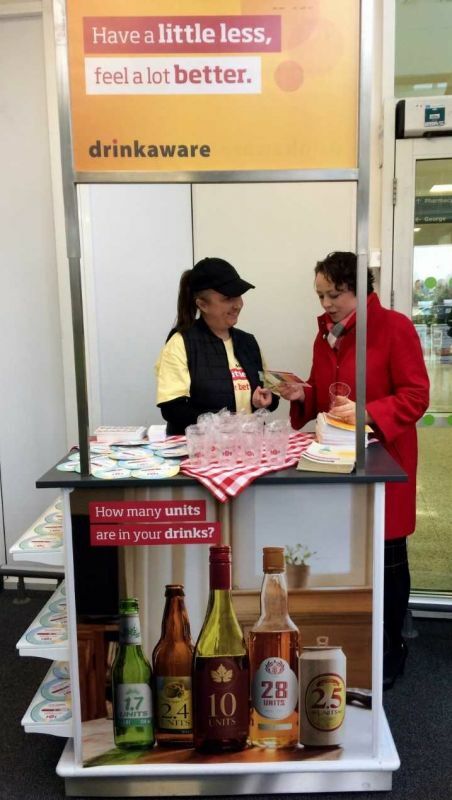 Participants were encouraged to complete a quick alcohol assessment using Drinkaware scratch cards and were able to take home a free alcohol unit measuring cup and calorie wheel. Specific help for parents on how to speak to their kids about alcohol and how to answer the difficult questions that children can ask was also provided. A long-standing partner of Asda, Drinkaware provides consumers with honest information, advice and tips to help them make informed decisions about alcohol. Chris Lowe, Senior Director for Corporate Affairs at Asda, said: ‘We are pleased to have worked with Drinkaware again this year, as part of our role as a responsible retailer, helping them engage directly with our customers. 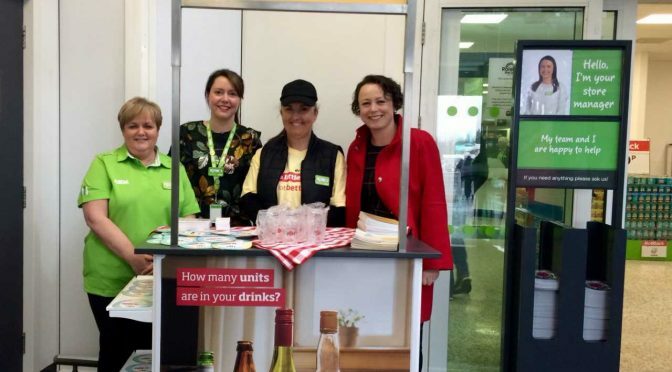 Drinkaware Chief Executive Elaine Hindal said: ‘Drinkaware is delighted to have partnered with ASDA on this important campaign which will help us to directly reach customers.